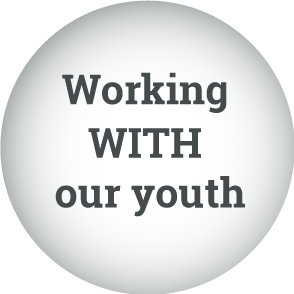 We provide tools and services to strengthen relationships between youth and the adults who serve them. VIBE Movement do for you? Full 2-day training introduction to restorative practices and using circles effectively. Design a PD based on the needs of your site or organization. Through site observations and consultation with key stakeholders, we offer expert advice focused on staying relevant with educational trends and community needs. 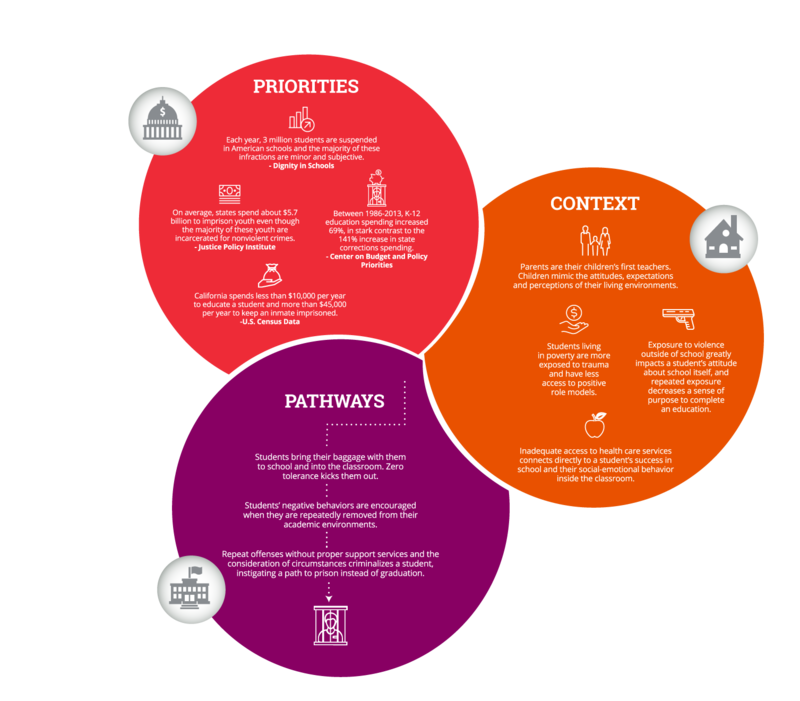 This is a collaborative problem-solving approach to address climate and culture, organization change, social-emotional development, restorative pedagogy, and processes to repair harms done to the community. 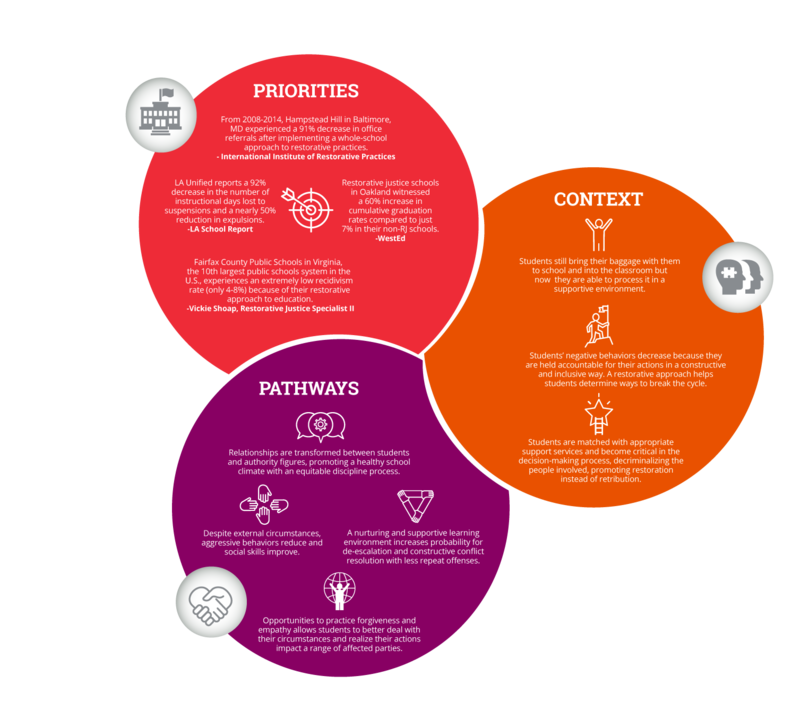 First, we work to identify goals and needs of the community/group/staff in order to generate a learning process centered around the learners themselves. Meaning, we are not going to come into your space and dictate what we think you need; in fact, we need to hear from you and your community so that we can tailor the coaching to a common goal and/or need. Through coaching, we provide support in order to incorporate and develop new skills and strategies into the classroom, the site, or the organization. 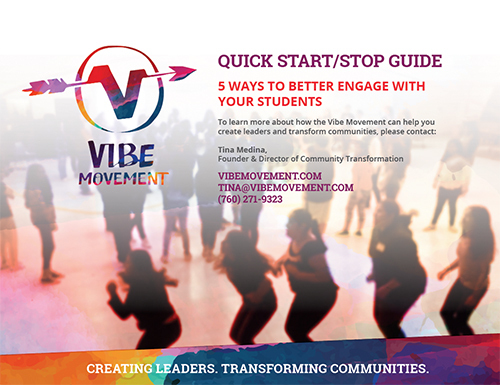 If you have a need for activities-based curriculum that supports the development of leadership, team, and community, then please let VIBE Movement work with you! Curriculum and programming are user friendly and can be designed according to the type of facilitator and participant. For example, teacher guides and youth-leader guides. We can design a specific training for your site, group, or organization that builds self-confidence, self-awareness, and self-efficacy in the youth participants while also building team and community. These trainings can be ongoing to maximize growth or a one-time gig to establish an essential foundation. Train the youth to lead the event themselves (with us in the shadows, of course!). We will help identify impacted parties and utilize the natural community, conduct individual pre-conference meetings, facilitate the conference itself, and assist with follow-up and accountability structures.  We also provide free VIBE Movement tools and resources. Funneled into an unjust system designed to keep them marginalized, many profiled "at-risk youth" end up on a path to prison. 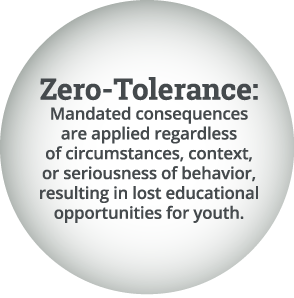 Mandated consequences are applied regardless of circumstances, context, or seriousness of behavior, resulting in lost educational opportunities for youth. Each year, 3 million students are suspended in American schools and the majority of these infractions are minor and subjective. On average, states spend about $5.7 billion to imprison youth even though the majority of these youth are incarcerated for nonviolent crimes. Between 1986-2013, K-12 education spending increased 69%, in stark contrast to the 141% increase in state corrections spending. California spends less than $10,000 per year to educate a student and more than $45,000 per year to keep an inmate imprisoned. Parents are their children’s first teachers. Children mimic the attitudes, expectations and perceptions of their living environments. Students living in poverty are more exposed to trauma and have less access to positive role models. Exposure to violence outside of school greatly impacts a student’s attitude about school itself, and repeated exposure decreases a sense of purpose to complete an education. Inadequate access to health care services connects directly to a student’s success in school and their social-emotional behavior inside the classroom. Students bring their baggage with them to school and into the classroom. Zero tolerance kicks them out. Students’ negative behaviors are encouraged when they are repeatedly removed from their academic environments. Repeat offenses without proper support services and the consideration of circumstances criminalizes a student, instigating a path to prison instead of graduation. When we work WITH our youth, we create change, increase positive behaviors, foster independence and reduce the chance of recidivism. From 2008-2014, Hampstead Hill in Baltimore, MD experienced a 91% decrease in office referrals after implementing a whole-school approach to restorative practices. LA Unified reports a 92% decrease in the number of instructional days lost to suspensions and a nearly 50% reduction in expulsions. Fairfax County Public Schools in Virginia, the 10th largest public schools system in the U.S., experiences an extremely low recidivism rate (only 4-8%) because of their restorative approach to education. Restorative justice schools in Oakland witnessed a 60% increase in cumulative graduation rates compared to just 7% in their non-RJ schools. Students still bring their baggage with them to school and into the classroom but now they are able to process it in a supportive environment. Students’ negative behaviors decrease because they are held accountable for their actions in a constructive and inclusive way.  A restorative approach helps students determine ways to break the cycle. Students are matched with appropriate support services and become critical in the decision-making process, decriminalizing the people involved, promoting restoration instead of retribution. Relationships are transformed between students and authority figures, promoting a healthy school climate with an equitable discipline process. A nurturing and supportive learning environment increases probability for de-escalation and constructive conflict resolution with less repeat offenses. Despite external circumstances, aggressive behaviors reduce and social skills improve. Opportunities to practice forgiveness and empathy allows students to better deal with their circumstances and realize their actions impact a range of affected parties.